On Tuesday 1st January Lakha Lama Rinpoche gives his last teaching and guided meditation at the top lounge – next to the oven. The previous four Tuesdays we have had the pleasure of Lakha Lama Rinpiche’s teachings and guided meditation at Tings. If you haven’t enjoyed his company yet, Tuesday will most probably be one of the last chance until he returns to Boudha fall/winter 2013 (he may return for a few sessions in February). Tea and cake on the house. Like the previous Tuesdays the evenings are free. But small donations are appreciated. Lakha Lama Rinpoche talks about Forgiveness & Compassion, October 2012. Posted in MishmashTagged Annette Tingstrup, Art@Tings, Hotel, International, Kathmandu, Lakha Lama Rinpoche, Lazimpat, Nepal, Thomas Tingstrup, Tings Lounge Hotel, Tings Tea LoungeBookmark the permalink. Poze’ssedByletters – the next Art@Tings Event opens on Friday 18th @ 6 – 8 pm. Because of an inconvenient stop-over in Istanbul we have had time to reflect on a business review we just got on Tripadvisor. Our ideas with Tings are right. And we may not be the best business hotel in Lisbon – but our staff is. The good, the bad and the really stupid reviews! We don’t mind bad reviews. But if the reviews are due to people having booked the wrong room – or choosing a completely wrong hotel – and then complain about services we don’t want or don’t want Tings to be – then the reviews are stupid. We just got two reviews from two guests who stayed in the same room and the same number of days but completely different reviews..
Rádio Etiópia is my prefered Portuguese Radiostation. A few years ago they featured portuguese poetry in their program/compilation Algums Poemas com Musica. 10 years ago, we arrived in Kathmandu. 10 years ago, we got our first 3 Nepalese friends – one of them Chirag Bangdel. 10 years ago, we bought our first Nepalese Art Work – a piece by Chirag Bangdel. 10 years later we are still friends and are surrounded by his works in Kathmandu and Lisbon. 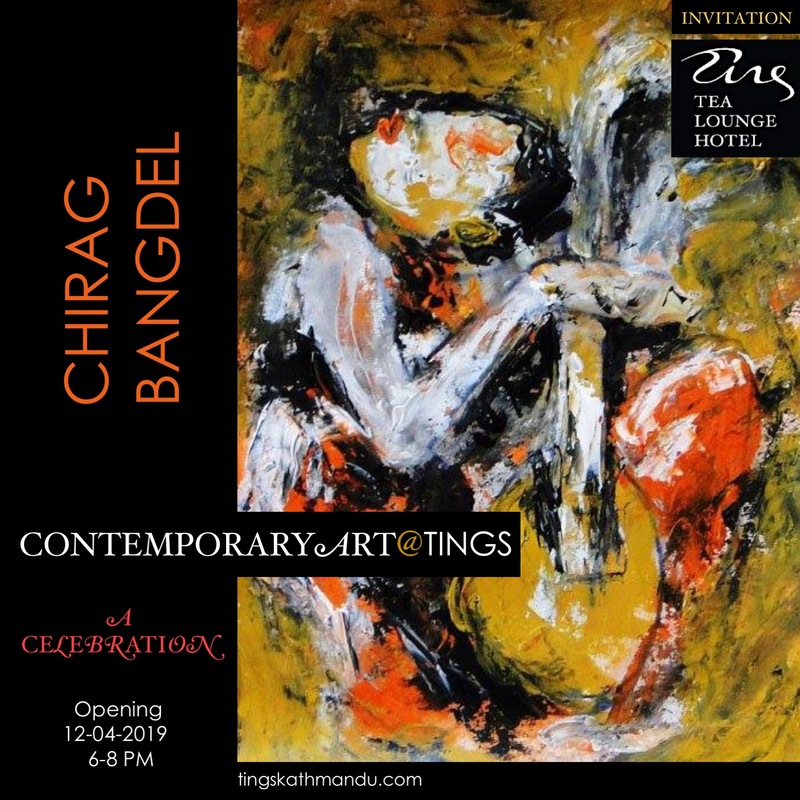 10 years later we open our first solo exhibition with works by Chirag Bangdel. As all the previous events – music, drinks, snacks and people. … it’s all about friendship! Stencil Mantras By Nuno Mega aka Dirty Cop aka Blindsniper – our 5th TingsArt Event in Graca. All sales go directly to the artist. Because we love good art!